Monopolies so often get away with price gouging their customers. Examples are all around us and one particular instance seems to go beyond simply prices. Lachlan Walden investigates. While many are concerned about plans for the NBN, Lachlan Walden suggests that the indicated calm and methodical approach of Communications Minister Malcolm Turnbull may actually deliver a sound outcome. Lachlan Walden considers how to rationally approach the process of considering the purchase of a new mobile device. Which policies should the rational Australian consider when voting in the upcoming election? Lachlan Walden discusses. What are the tactics of resource allocation behind the chaos of Australian election campaigns? 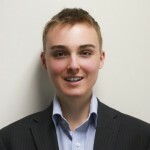 Lachlan Walden examines the current approaches. Walden explores what goes on behind every decision. Have you made yours yet? The political smarts and motivations behind the Federal Budget explained. Recent mainstream media reporting on the monthly RBA meetings may be in dire need of some reworking. Will the Gonski reforms mean higher teacher salaries? You may give a Gonski, but is that enough to patch up our education system? Have the latest proposals on superannuation policy reform done enough to ensure a sustainable and equitable system? The what and why of this week’s big political news.